The Awards which were recently held in London are unique in recognising companies, brands and individuals who excel in the fields of online travel distribution, digital marketing and technology. Virgin Holidays were one of 30 winners on the night, and winner of one of just five consumer voted for awards for the best websites. 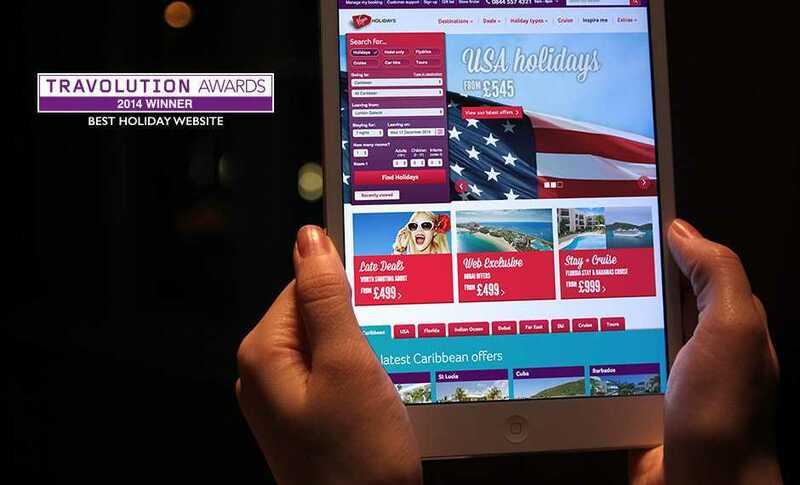 Some of the UK’s biggest and best established names were shortlisted into the five consumer voted categories, and Virgin Holidays managed to fend of stiff competition from some well respected names. Zolv have worked with Virgin Holidays for the past 12 years developing a suite of tools and websites that have provided their trading, product and marketing teams the control they need to quickly manage product and content, producing landing pages, special offer listings and promotional pods, in response to fast-moving market demands. We have delivered several complete redesigns for the main Virgin Holidays site over this time, each one increasing conversion rates considerably.